This morning I was looking at the above article about the new swimwear line from plus-sized model Ashley Graham. And I had some... thoughts. Some people are never happy. To which _I_ replied (in my own head), "No... we're not." Don't fashion me into a maiden that needs saving from a dragon. I am the dragon, and I will eat you whole. 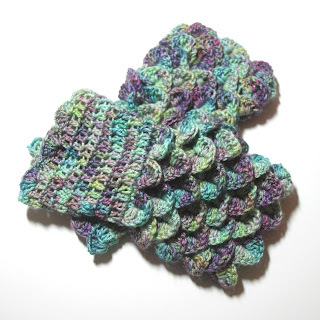 Yarn: Dream in Color's Smooshy with Cashmere in the colorway "Mermaid Shoes"